One of Facebook’s biggest News Feed update for 2018 is a fact. And it scared many business owners. Marketers panicked out that some pages will die, that this update will have a terrible impact on all types of businesses. Well, of course, the situation is not pleasant but hey, take look at it from another angle – it’s good for people, it’s good for your audience, they will be provided with better user experience. Or Facebook says so and we believe it. It’s up to you to make the most out of it. Get out of the box and think of a way to spark a conversation within your target audience. Think, what do they like? What do they talk about? What do they work? How do they spend their time? You can use all of that information you already have to generate content that will get the attention of your clients and eventually start a discussion. Talk to them via messenger, use chat bots. Make them feel special. Clearly, there’s a downside of this major update that all marketers and business owners should be taking into consideration – the advertising budget will eventually increase. More businesses, in their struggle to remain on the market, will start to rely on advertising to reach more people while the ads space will remain limited. Yet, if you target the right audience at the right time with the right content the ads will pay off. Moreover, if you’ve found the sweet spot of your target audiences your campaigns will increase profits. The price of advertising. As already mentioned, we expect it to go up as ad space remains limited. More and more businesses will turn to paid ads to promote their pages, products and/or services. As we take the market economy laws into consideration when the supply can’t meet the increasing demand the prices go up. In this case, the “product” is ad space. As advertisers’ number increase the ad space will remain very limited leading to higher competition, and the winners will be those who pay more. Content. In order to remain competitive and to engage people advertisers will try to produce even better content worth its budget. Facebook already stated it – they shift their focus to encourage more meaningful social interactions rather than offering relevant content. The key word here is “meaningful”. This means, that posts will have to provoke and encourage authentic discussions and real conversations. Moreover, Facebook uses machine learning to define the “baiting” posts such as “Like if you prefer dogs, Love if you prefer cats, comment if you prefer guinea pigs.” This way, the platform strives to dramatically decrease “spam” and offer richer social experience to its users. Interactions. Many marketers and businesses use different tools to automate their social media posts which eventually will have to be abandoned. Of course, we’re not saying to stop the entire automation but you will need to consider reducing such content types and focus on interactions. 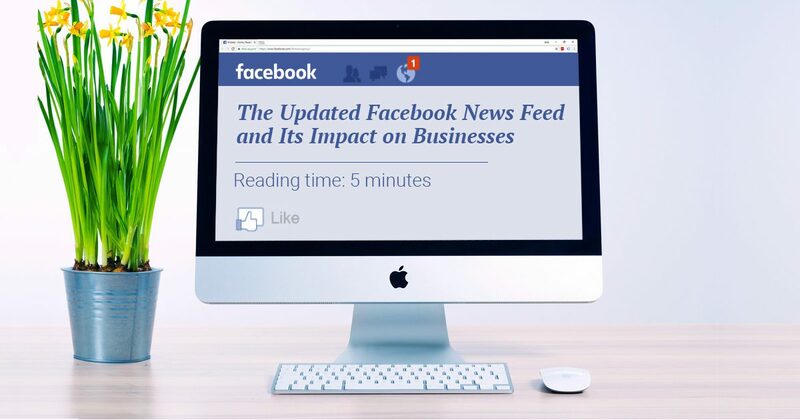 This means that businesses and marketers will have to spend more time on Facebook to interact and communicate with their clients and potential customers. Following this line of thought, building a group (using Facebook Groups) would be a good idea if your niche allows it. *Psst (whispering) – we also didn’t notice an impact on how the posts in groups are showed in News Feed. They seem to be showing the same as before. Maybe even more, as the space now is cleared from public content. Yet, you will have to be careful what you’re posting as the “anti-baiting” works everywhere. Remember, the more meaningful the post is, the more authentic discussions it starts, the better. Otherwise, your brand will go down… Literally. If you want your content to be seen by your followers first stop like and share-baiting. This includes the promo posts such as “Like, share and tag a friend to get 10% off your purchase”. No matter the discount, this type of posts remain baits which Facebook dislikes. As a matter of fact, users too. What you can do? Well, ask your followers to include your page in their “See First” list. Show them how to do it. And remember, you don’t need all your 100,000 followers to include you in this list, you need only a few but quality followers. Those who would start a discussion, continuously interact with you, and eventually help you know your audience better. You can also try the Facebook Live feature. Those videos tend to have more interactions than non-live ones. As they’re real time, they encourage people to share their opinion and connect with the brand. Did you notice the link between groups and specific pages? It’s not a new thing but you should definitely try it out if you already haven’t. Join a relevant community and talk to people. If there’s none, create your own, invite your followers and encourage them to communicate with each other, discuss matters that are closely related to your business, and be there when they need you. In other words, be a human. It will definitely be appreciated. Rely on quality not quantity. The new Facebook update clearly defines the line – more posts over a period of time doesn’t mean more reach. So, focus on creating better content and reduce the number of posts. Even posting once a week would have more impact than posting five posts a day if it’s done the proper way. Last but not least, consider the fact that some people dislike the News Feed update. They’re used to see Facebook as a news and interesting content generator not as their friends’ diaries. Needless to say, their feeds now are full of photos of the latest dinner of aunt Marie instead of how to design a wooden table (which is their hobby) from a DIY page they’ve liked. These are the things we think the new update will have the biggest impact on. Yet, we don’t think it will bring “Armageddon” for advertisers. There’s nothing to be scared of and we see only the bright side of the things. What do you think about it? Have you already tried some of our suggestions? Have you tested other ideas? We’ll love to hear what the outcome is. 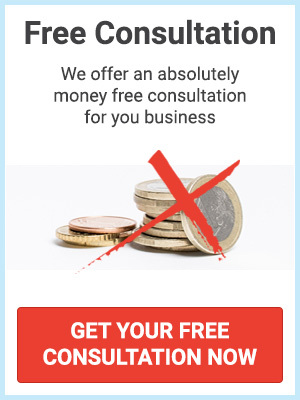 Send us an email at contact@mokeez.com or start a chat live on our website with one of our helpful online consultants.